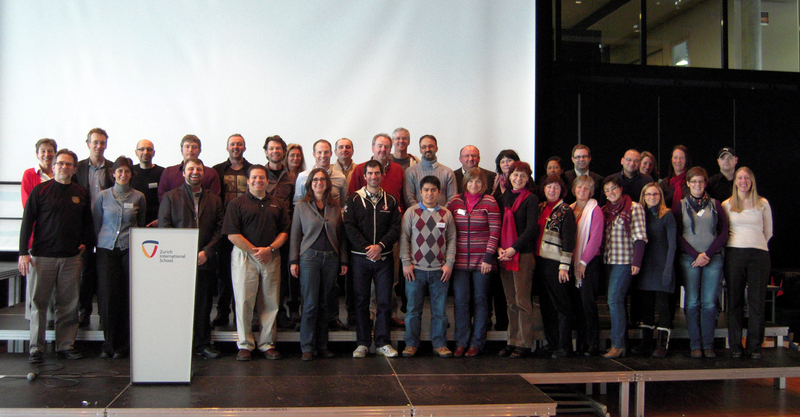 The European PSUG was formed in February 2012 at the first-ever European PowerSchool User Group conference, organized by Romy Backus and hosted by Zurich International School. The conference was a huge success, bringing together over 40 users from 18 schools across Europe and North Africa, with various backgrounds including technicians, school administrators, teachers, and secretaries. Due to the high cost of flying to the United States for conferences, many users at this first event had never attended a PowerSchool training event before and were very surprised to realize how many other European schools use PowerSchool. There was considerable excitement to discover that the group could provide support and networking possibilities among peers at European schools in a way that had not existed before. Pearson was also well represented by trainers Jason Springel and Ed Dedic, who flew over from the United States to participate. Workshops included PowerTeacher Gradebook, Language Translation Toolkit, Object Reports, Using PowerSchool to Communicate with Your School Community, IB Reporting, and more. Participants also got a taste of Switzerland during a traditional Swiss fondue dinner in the shadow of the iconic Grossmünster church.